Set awesome. 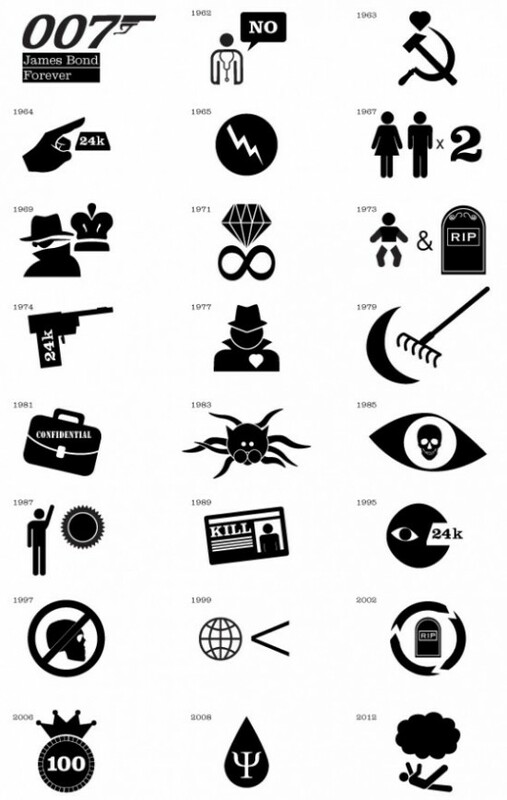 Check out artist Bryan Lenning's re-imagining of each of the James Bond film's titles in pictogram format. These are quite clever and some of them are not completely simple to figure out. Fun stuff... check out the full sized version after the jump.